The lavender based fragrances have been popular since the 14th century. Hungary Water, named after Queen Elizabeth of Hungary, is often considered as the first perfume in the modern sense, and it was based on the mixture of alcohol, rosemary and lavender oils. Lavender’s popularity is not surprising, in light of the fact that it possesses a fascinating aroma, combining the rustic herbal aspects with the delicate floral overtones. A transparent fruity note, resembling either a peach peel or a green plum is present in some oils, lending further complexity to the scent. In Pour Un Homme, the vivid brightness of lavender is left unadorned until the fragrance dries down to the musky vanilla finish. The floral sweetness of lavender marries perfectly with the creamy vanilla, with the freshness of the former tempering the richness of the latter. A layer of amber with its animalic warmth completes the arrangement. 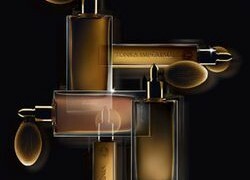 In comparison with the baroque composition of Guerlain Jicky, Caron’s creation has a modern minimalist edge. On a man, Pour Un Homme wears like a well-tailored suit—elegant, slightly conservative, albeit with a laidback air. On a woman, it is unexpectedly seductive; its rich animalic notes interspersed with green and floral touches tantalizingly straddle the line between the femme fatale and the garçon. 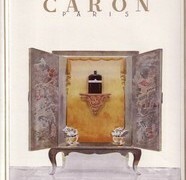 Pour Un Homme is available from Caron boutiques as well as a number of other online and retail locations. Caron also offers the extrait de parfum version of Pour Un Homme, called L’Impact de Pour Un Homme. Rich, verdant and herbal, it is likewise worth exploring. I sighed with relief smelling this great Caron classic because it is still available in a terrific form. The luscious lavender and vanilla pairing are set into a rich accord of amber, woods and green mint — the gold standard of lavender fragrances. N: A fab review as always dear V. I do love Caron Pour Un Homme and find it less intimidating and easier to wear than Jicky (another fav for many many years). 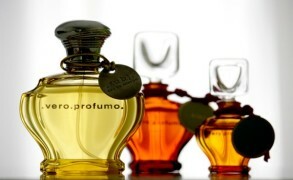 Marcello: I was thinking about Pour un Homme all day yesterday, so finding your review was a pleasant surprise. I very much enjoy my non-vintage Jicky edp, so I’m considering adding PuH to my collection. BUT I`M ALWAYS FASCINATED by your fresh and never-seen-before metaphors!!! Kuggi: Thank you for your wonderful review. This fragrance is my signature scent. I wished its projection would be stronger. Try Invasion Barbare by MDCI paris if you can. It does not smell exactly like Caron pour un Homme, but it def. has a resemble vibe. I am sure that IB is supposed to have the DNA of Caron puH, because it also includes lavender and vanilla. It is also a barbershop scent.